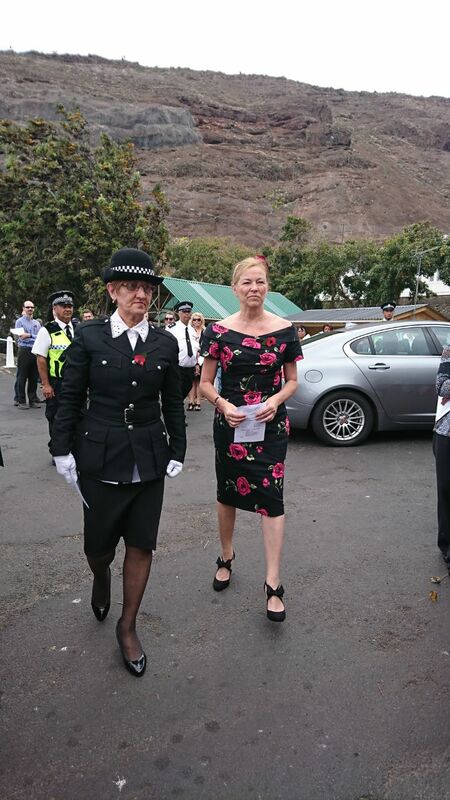 As members of the St Helena Tourism Roadshow participated in the Armistice Service at the Cenotaph in Jamestown St Helena, less than 24 hours after returning to the Island, time is taken to reflect on a part of the exciting 7 day trip which took the team to Paris, France. The Roadshow arrived in Paris via the Eurostar on Wednesday morning and meetings started immediately before attending a reception at the British Embassy that evening as guests of Baron Edward Llewellyn the British Ambassador to France. 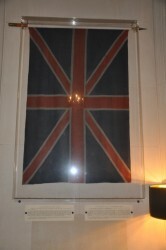 Whilst significant discussions took place at the reception, it is hard not to connect today’s service in St Helena with an Armistice Flag which hung prominently in the halls of the British Embassy last Wednesday evening. 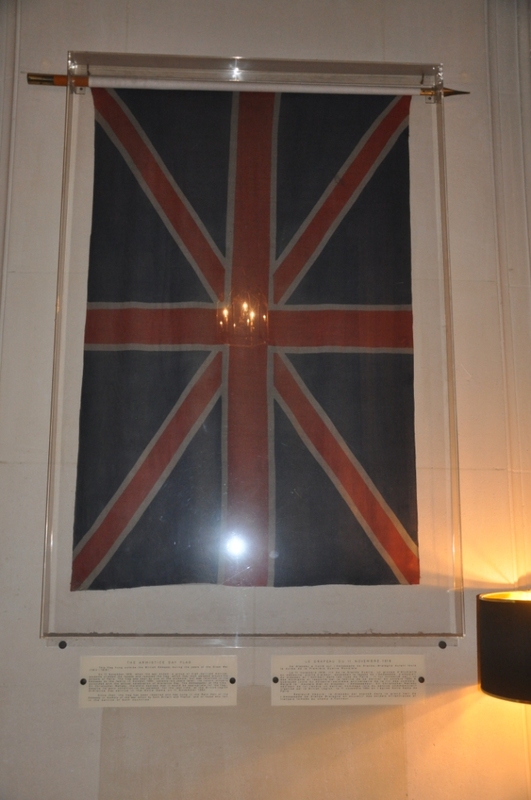 On the return of the team’s arrival to St Helena, it marked 99 years following it being stolen by a group of medical students after it had hung outside of the Embassy during the years of the Great War.